Seniors dressed up in orange to represent their class color and hyped up the crowd to start the FTK dance marathon. “The organization is very special in the way that they help the community and so many people,” senior hype leader Zion Fitch said. Standing for the ones who cannot, Warriors for the Kids (FTK) raised over $3000 for Children’s Healthcare of Atlanta on Saturday, January 26. Teaming up with a chapter from Georgia Tech, NC Tribal Connections brought the FTK club to the attention of NC administration in 2018, and soon after, added one more club at NC in November. With months of preparation under their belt, TC brought the fun-filled event to the community and achieved beyond expectation. “Saturday was outstanding, we had a good number of people and are looking to improve next year. We raised $3,873.84 which was a crazy accomplishment and just an overall wonderful experience,” junior Priscilla Petersen said. Warriors for the Kids held a fundraiser and a dance marathon to raise money for the kids battling healthcare problems whose parents also face financial need. Partnering up with Georgia Tech, all the money will benefit Children’s Healthcare of Atlanta (CHOA) to provide service dogs, expensive treatments, and comfort for families. 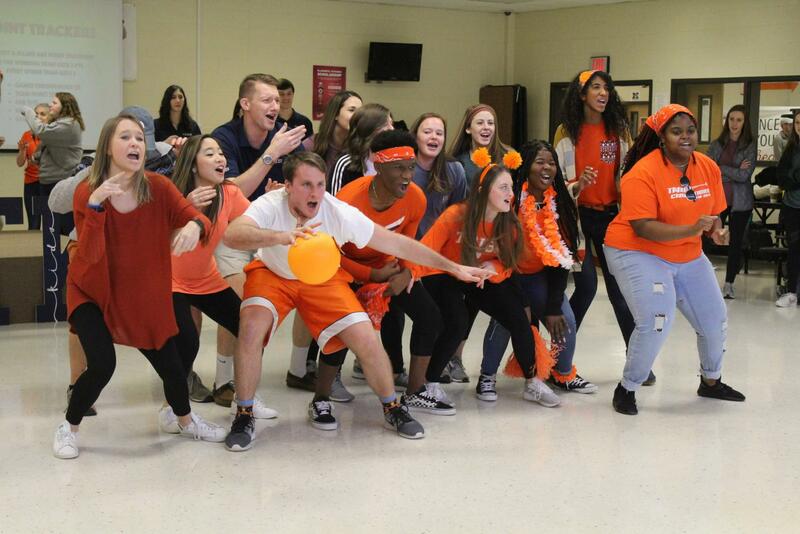 Hype leaders do a tremendous amount of work for the dance marathon. Standing, dancing, and playing games for five hours takes a lot of their energy, but thanks to their great work, participants barely noticed the time flying by. Sophomore Tyler Pelham and freshman William Green wore their class colors while enjoying the dance marathon. “Saturday was my first FTK dance marathon and it could not have gone better, it was a lot fun and I enjoyed it,” sophomore hype leader Trenton Nolen said. Warriors FTK raised over $3000, and NC could not be more proud of their hard work. 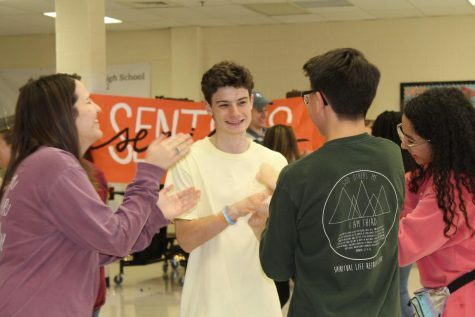 “To be a hype leader means to show up and show out, to represent my grade, it means a lot to me to be able to represent my school and something I am happy about,” junior hype leader Josh Hollis said. 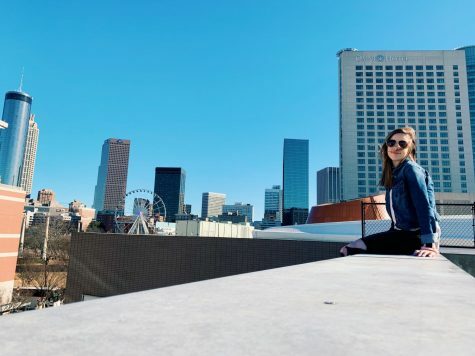 Easily relating to the kids with miraculous stories at the dance marathon, Hollis suffered from pneumonia two times as a child and stayed many nights as a patient at Children’s Healthcare of Atlanta. Fighting pneumonia takes energy from a child, but with the help of CHOA, Hollis overcame the sickness and now helps kids battling other illnesses. “The organization means a lot to me because I was a CHOA child; their support emotionally, physically, and medically really helped me to get me back where I was,” Hollis said. Warriors for the Kids surpassed their goals for this annual dance marathon and fundraiser and holds high hopes to keep achieving even higher goals next year. The students and NC community plan to raise the bar even higher to provide additional support for the kids of CHOA.